If you haven’t tried this yet … jump on board! We are a total convert to prepping salads this way. When I finally took the plunge and tried it, I was still very skeptical. 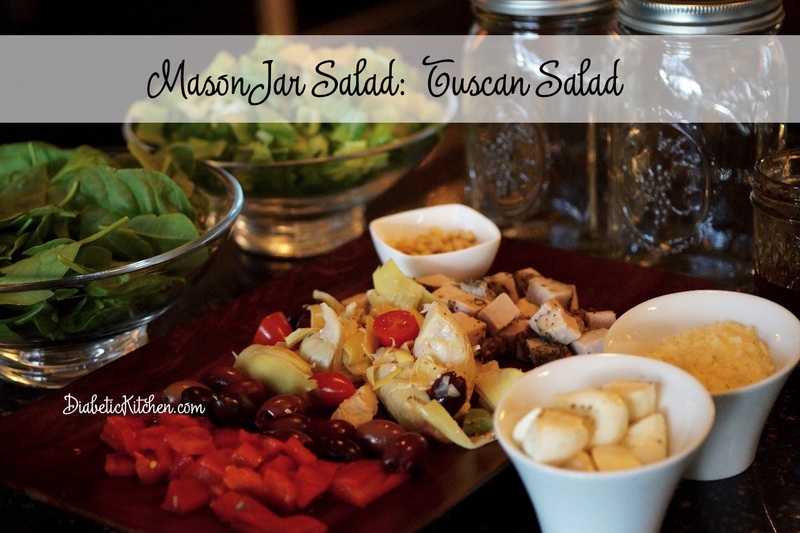 I decided that a Tuscan Salad and a Cobb Salad would make be my first choices to make in my mason jars. 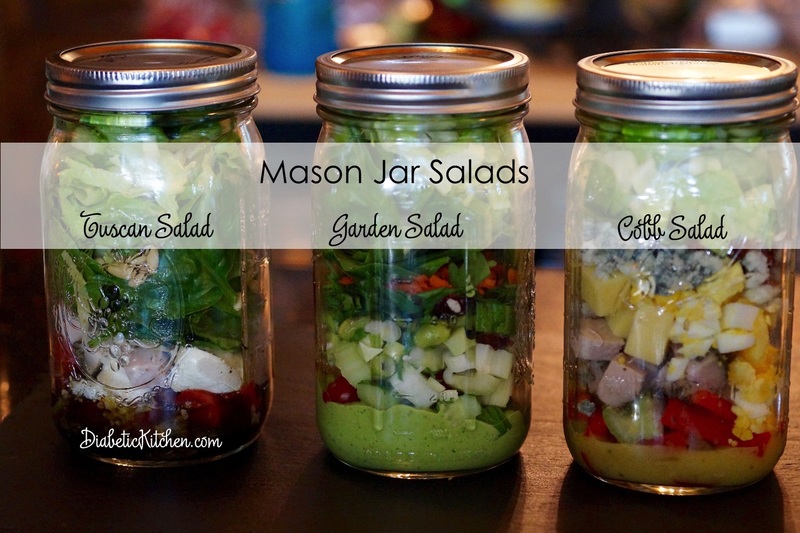 I decided to make 4 mason jar salads in quart jars. That would be two meals ready to go for each of us. Or as I found out a 1-quart wide mouth jar could be two side salads for a meal. 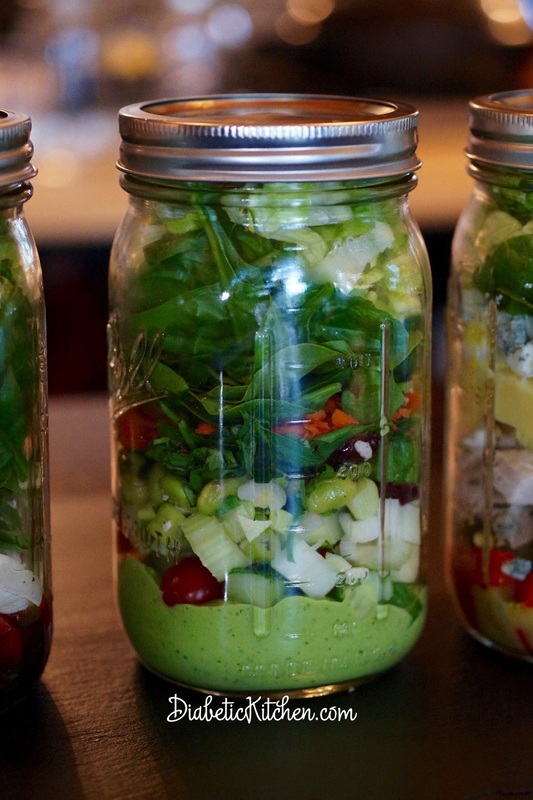 Now we can add Mason Jar Salads to that short list. Ice cold salads to rave reviews. As you well know when you make a salad all the ingredients are out on the counter and get prepped. 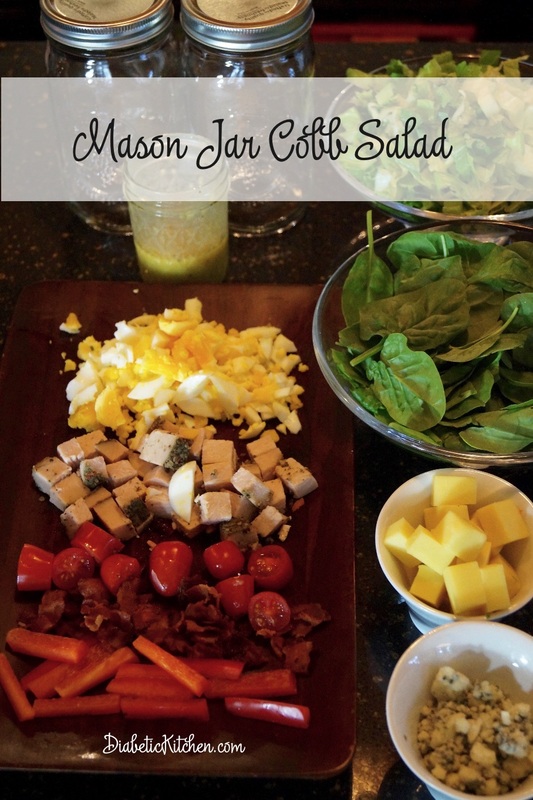 By the time you are done with all the ingredients and the salad is served … at room temperature. 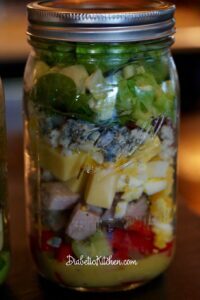 With the Mason Jar Salad once you are done layering and closing the lid, it goes back in to the refrigerator until you are ready to eat it. All the ingredients get re-chilled and stay fresh and crisp. Delish! First I prepped all the ingredients I decided to use. Then you start layering. For the Cobb Salad I boiled some eggs and gathered blue cheese, white sharp cheddar cheese, bacon crumbles, red bell pepper, grape tomatoes, Tuscan chicken, baby spinach, romaine. I used the same salad dressing for both of these salads. It’s a basic vinaigrette that we both love. Because I had veggies to use, I also made a veggie salad with an avocado dressing. I gathered and prepped parsley, fresh basil, grated carrots, edamame salad, green onion, celery, cucumbers, grape tomatoes, baby spinach and romaine. I love going to the olive bar, salad bar or deli to help with my ingredients. My latest find is the Boars Head All Natural Tuscan Turkey. 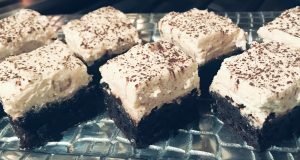 It is simply delish! I have them cut one slice in the #9 width. Then when I get home I will cube it. Sometime the deli will have an edamame salad or an artichoke salad and I will get a small portion for one layer. If you don’t want to do that get a jar of marinated artichokes or artichoke hearts in water. You can fine edamame in the freezer section that are already shelled. I also get nitrate free, antibiotic free bacon and dice it raw and then cook it. Easy crumbles. I will drain and put what I don’t use in the freezer. 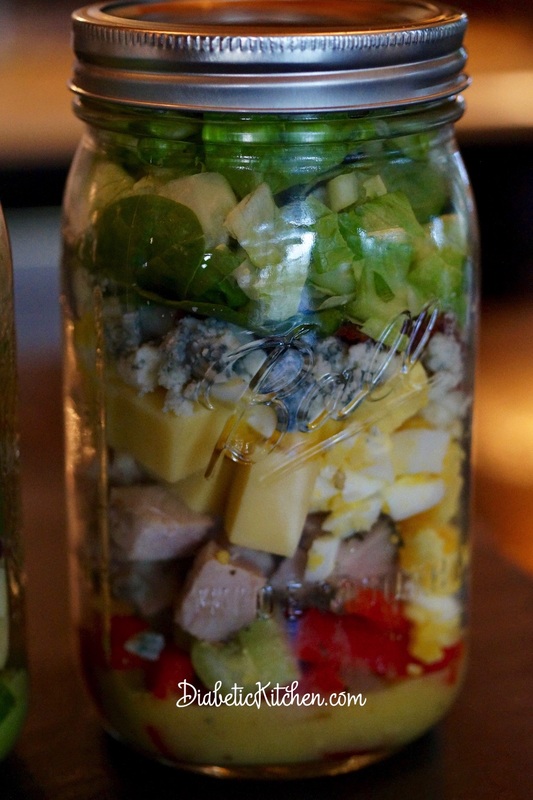 I can pull out what I want for scrambled eggs or future layered Mason Jar Salads. So you only have one mess and multiple uses. 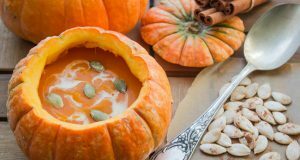 With all your ingredients prepped it’s time to layer. Put your dressing in first. Don’t over pour it. You don’t want a drowned salad. Then think about ingredient would love to ‘marinate’ in the dressing. Adding your ‘wetter’ ingredients next ending up with the greens on top. Balsamic Dressing, Artichoke salad, diced red bell peppers (or diced roasted bell peppers), Kalamata olives, mozzarella balls (cut in half), Tuscan chicken (cubed), grated parmesan cheese, pine nuts, baby spinach, chopped romaine. Dressing, grape tomatoes (halved), celery, diced red bell pepper, Tuscan Chicken (cubed), sliced or chopped boiled egg, bacon crumbles, white sharp cheddar cheese (cubed), blue cheese crumbles, baby spinach, romaine. I will say that I was hesitant to add avocado to the jar. I didn’t want brown pieces so when I selected this salad to eat I added sliced avocado because I always have that healthy fat on hand. Avocado dressing, grape tomatoes halved, quartered cucumbers, chopped celery, edamame salad, chopped parsley, grated carrots, baby spinach, chopped basil, romaine. I will say that I wasn’t happy with this avocado dressing because it didn’t dress the salad as well as vinaigrette. Until I perfect a creamier dressing I will stick to my yummy vinaigrette. 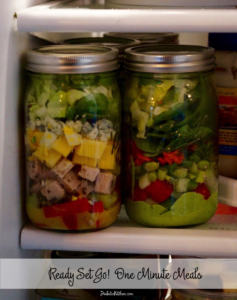 Once the layering is complete, put the lid on and put in your refrigerator. You now have a 1 minute meal at your fingertips! When you remove the jar from the refrigerator, if you have made your vinaigrette with EVOO, it may have congealed a little bit. Put some warm water from the tap in a bowl just deep enough to set the Mason jar in the bowl with the dressing in the water to warm it up just a little bit. 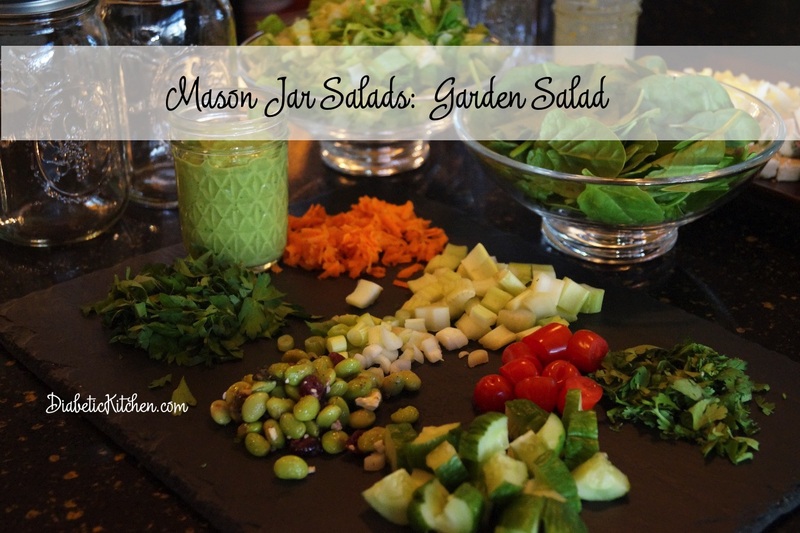 Now tip the mason jar upside down and shake a little bit to dress your greens. Remove lit and pour onto the plate. Done! 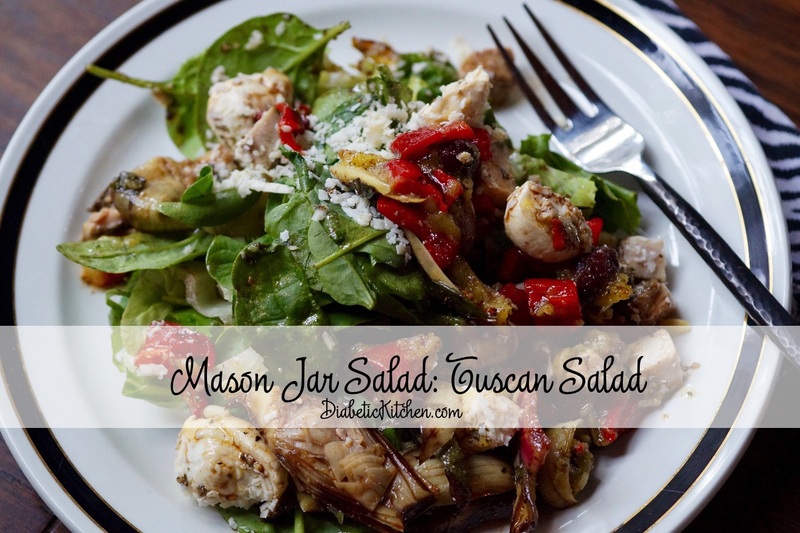 I have made mason salads several times. The latest was with my son’s girlfriend Sarah. She loves salads and has a busy schedule as a real estate agent and a NFL cheerleader. With late night practice she would come home hungry but didn’t want to eat a big meal. 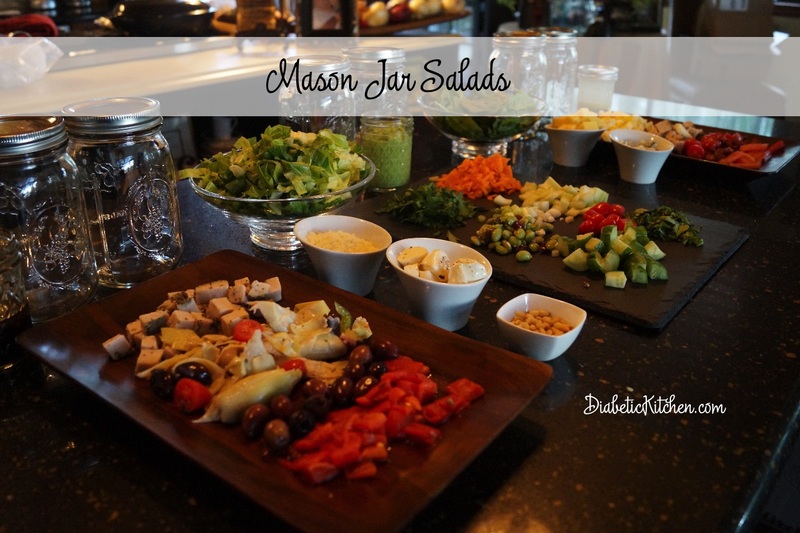 I shared my Mason Salad experiences. So off to the store I went. However the grocery store didn’t have quart mason jars. So I decided to we could use pint size jars since she may only want a side salad. So I bought 12 wide mouth pint size jars and we’re off and running. The next morning at 10 am we pulled all the salad ingredients out of the refrigerator. I had boiled the eggs the night before. Other than that we did everything that morning. Starting with dicing the bacon and cooking it while we prepped the remaining ingredients. While Sarah loves all things veggies, Joseph was a little more specific. He wanted spinach, feta and chicken in his salad jar. 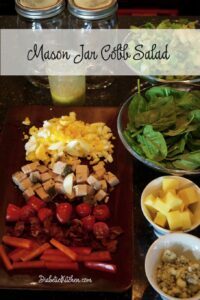 So we made his version which mom (me) tweaked and two different versions for Sarah: the Tuscan Salad and a Cobb/Veggie Salad. As Joseph walked by he said he like artichokes so I put that in first after his Greek dressing followed by a little red bell pepper, grated carrots (for some color), feta cheese, Tuscan turkey, bacon crumbles, baby spinach and butter lettuce blend. I will say that I got a text later than night that he had eaten one jar as a late night snack and LOVED it. He also wanted to know what that lettuce was. He was used to spinach only and that got a little boring. The combination of the spinach and the creamy butter lettuce blend was a nice compliment. See … Mom still knows a thing or two! Anyway … we ended up with 6 salads for her and 2 salads for Joseph. Then because I had read on Pinterest that some people said they prepped then stored their lettuce in Mason Jars and they stayed crisp longer. 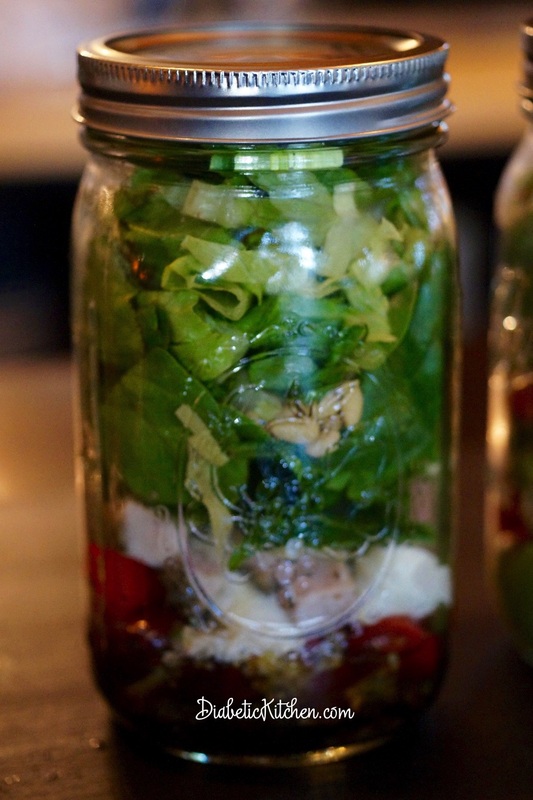 We had extra jars and a little extra kale and spinach so we decided to try storing them in 2 of the pint jars. So here is the best news. Remember I said we started pulling ingredients out of the refrigerator at 10am. We were done and cleaning up at 10:30! That is what I call nothing short of amazing. Granted there were two of us chopping and layering. But in less than an hour you (on your own) can have 8 pint salads ready to go and literally have a 1 minute meal when you want it. When you have food or a meal that you can reach for quickly you will eat healthier. 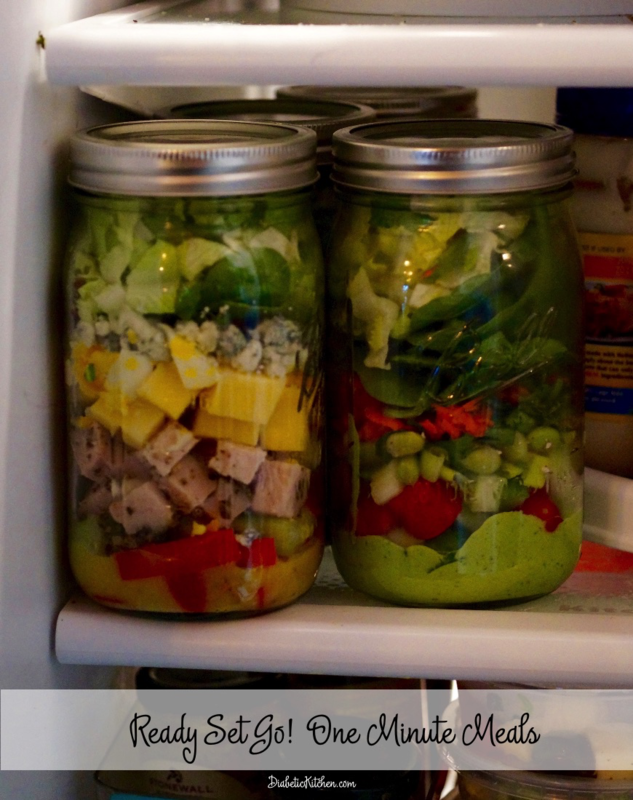 Invest a little time up front so you can reach in the refrigerator and select a jar and in less than a minute you have an ice-cold salad on your plate and ready to eat. Oh yes … Sarah loved coming home from practice to a healthy quick salad waiting for her. 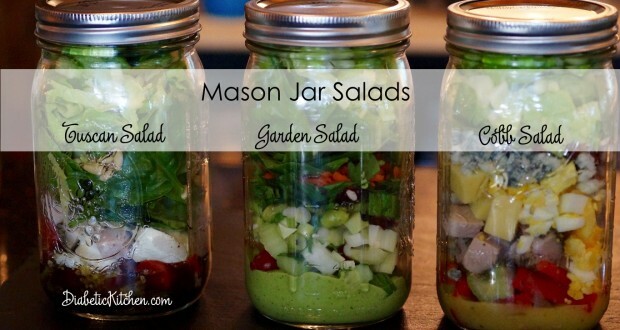 I have a feeling she will continue making Mason Jar Salads. You nutritional information will be based on what you put into it. 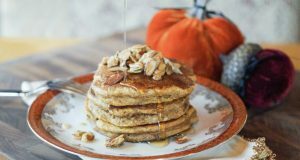 Make sure you have a good balance of fiber, healthy fat and protein.